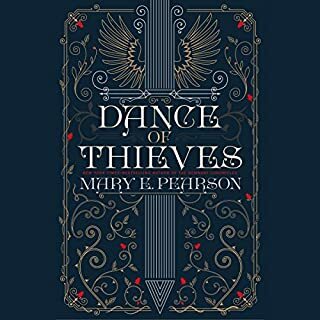 This series had a lot of things I like in a book: historical setting in Paris, old buildings, including an old church and bookstore, gargoyles, demons, angels, romance, fighting, murders, mystery. I can see why it's compared to the Mortal Instruments in a way because it has some similar elements. It is enjoyable, but not as good as Mortal Instruments. It's just not as fully developed. The series follows three siblings as they become involved in the supernatural world. They become involved with the alliance (a group who fights demons), gargoyles (humans who transform into gargoyles to protect their assigned humans), and various other groups who are all interested in angels/demons. They live in an old church that their mother is transforming into a gallery, and it has an opening that leads to the underworld. We hear the story from multiple viewpoints, switching between each sibling, the gargoyles, and others along the way. This was different for me because I am used to reading a book from the main character's point of view and sometimes seeing myself as that person. Here you're constantly switching between people. There are multiple romances and friendships forming throughout the series. My favorite characters were Ingrid and Luc, with Luc being the favorite. I saw another reviewer say he's a jerk, but I disagree, especially if you stick with the whole series. He is standoffish in the beginning to protect people, but he's a good guy who does the right thing. The younger sister is a bit immature, but grows up in later books. The brother doesn't get much time in this book, but you see more of him later. If you like this first book even mildly, I suggest you stick with the series because I think it gets better as it goes. Narrator is good too. A beautifully written, and truly enchanting debut. A spiraling, dark historical paranormal, that has just about everything you could possibly crave in a Young Adult book. THE BEAUTIFUL AND THE CURSED was absolutely stunning and immensely addicting, I loved it for so many reasons!! THE BEAUTIFUL AND THE CURSED took a direction I usually try to steer clear of. It had multiple POV's, I mean A LOT of them. It had four steady POV's, but also some side characters got in a few chapters here and there too. 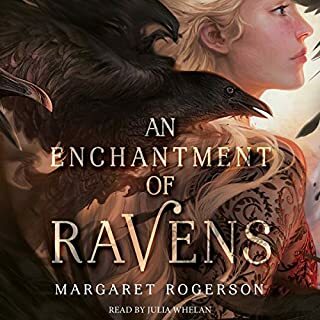 Usually I get overwhelmed and feel the lack of connection towards the main characters when a book is written like this, but Page Morgan pulled it off and some!!! I can honestly say that I enjoyed every POV that Morgan threw at us. 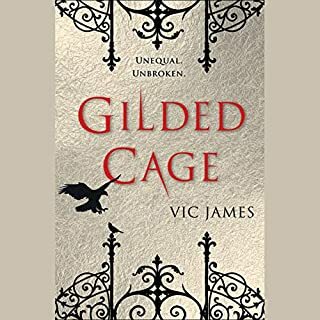 They all had their own distinct voice, and depth and character development, that made me want to pull back the layers and examine each of them and their hidden secrets. After a terrible accident, Ingrid's life is forever changed. She's more then ready to leave her friends and life behind in London, and move back to her birth Country of Paris, France. She hopes she can put the past and the shameful scandal that sent her running behind her, and start anew with her twin brother Grayson, and baby sister Gabby. But then when they arrive in Paris to find Grayson missing, and not only that, but numerous girls have also disappeared, some even turning up dead and dismembered in pieces, scattered all around Paris. Ingrid's imagination starts to runs rampant, and she is perplexed at what could of possibly happened to her twin. Something sinister is at play, and Ingrid knows there's more to her brothers disappearance then what meets the eye, and she's determined to find out just what that is. 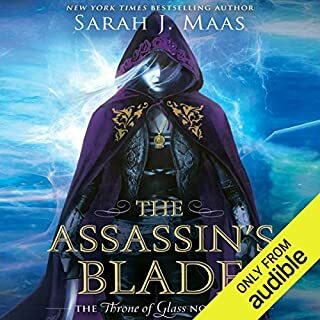 THE BEAUTIFUL AND THE CURSED was addicting from start to finish, and already has me reading the next book in the series and loving it just as much! I quickly fell in love with this world and the thrilling characters, and the dark tone that Page Morgan interweaves. I seriously cannot think of a single thing that I did not like about this book. BUT, even though I absolutely adored it, it just didn't turn out to be a 5 star read for me. There was nothing negative that jumped out at me, or deferred my rating, but my love for this book just didn't reach that level of awe and enjoyment as a 5 star read would. But nevertheless, THE BEAUTIFUL AND THE CURSED was epic, totally, addicting and swoon worthy to the very last page. 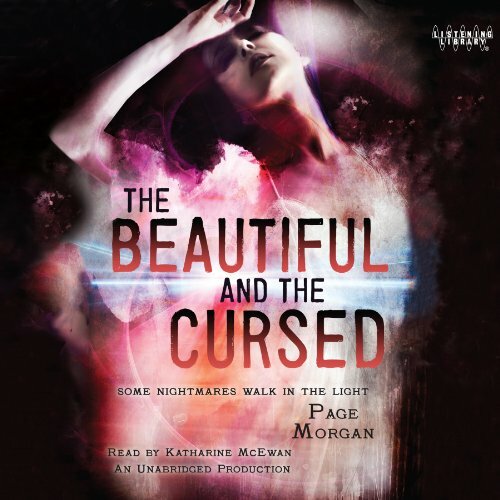 Overall, THE BEAUTIFUL AND THE CURSED was everything I hoped for and more. 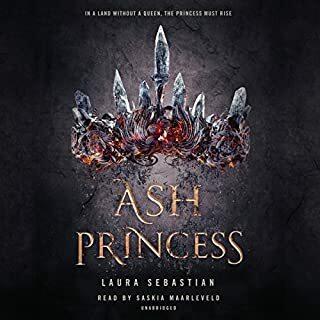 I loved the quick-witted writing, the enchanting world setting, the deadly creatures out for blood, the demon hunters cutting them down in the blink of an eye, the fierce character development, and the heart-breaking romance. If you like thrilling paranormal, with deadly creatures, set in the historical world in the dazzling City of Paris, with addicting characters and bitter sweet romances, then THE BEAUTIFUL AND THE CURSE is DEFINITELY one book you DON'T wanna miss!! !